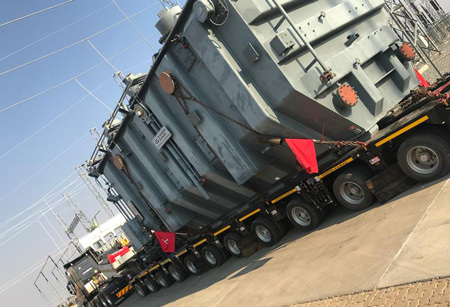 Power utility, NamPower this week said that one of the four transformers that were commissioned with the Zambezi Link Interconnector in 2010, is enroute to Eskom-Rotek Industries, South Africa via Botswana for repairs and is expected to be back in service by April 2019. The power utility told the Economist that the transformer was stationed at Gerus Substation, near Otjiwarongo and connected the High Voltage Direct Current System to the rest of the NamPower System. According to the utility, the system links Gerus Substation to Zambezi Substation near Katima Mulilo and the transformer left at the station is of the same capacity meaning it will be able to handle the load transfers required, so the nation should not be worried. NamPower said internal faults were detected in the transformer through a proactive maintenance programme, and as such NamPower took a decision to de-energise the transformer to curb further damage and avoid running the transformer to failure. The utility told the Economist that at the moment the full assessment will determine the exact cost. “Any transformer that is not fit to operate reliably will have to be fixed to ensure that security of supply is sustained and preserved at all times for the interest of the country. The transformer is expected to be back in service by April 2019,” they said. Asked on the move to repair it in South Africa, NamPower said the transformer was manufactured in India, and its warrantee period had lapsed. “The closest facility that can handle a unit of this magnitude is in Johannesburg. There is not yet a facility in the country that can repair such a transformer,” Nampower added.